The Hong Kong Star Ferry traces it's origins back to the 1880s. Yes, it is even older than the tram. 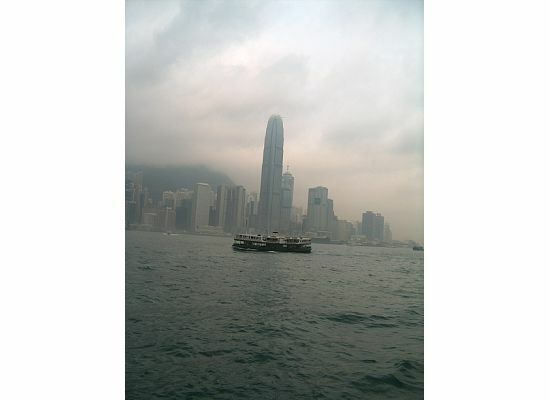 Why Take A Hong Kong Star Ferry Tour? To appreciate and enjoy the view of the Victoria Harbour, the Hong Kong Star Ferry Tour provides the cheapest and quickest way to do so. You can do it during the day and at night to have 2 different feels. If it's Hong Kong Christmas and Chinese New Year time, this Hong Kong Tour is a MUST. Make sure to do it at night during that time of the year. Then, you will know what I mean. I swear that you will never see a city as gorgeous as this. There are 2 different routes going to Tsim Sha Tsui (a.k.a. 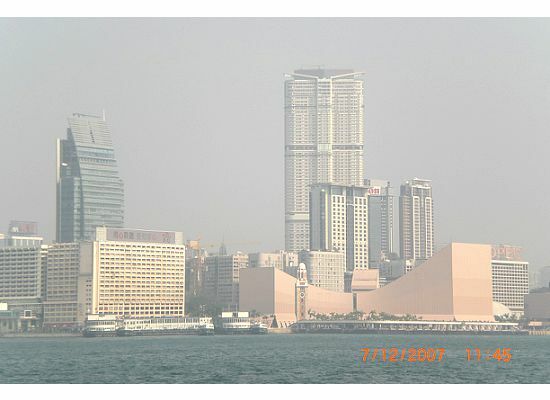 TST), Kowloon Peninsula. One from Wanchai and the other one is from Central, the capital of Hong Kong. Due to the reclaimation in Hong Kong, the route from Central is getting shorter and shorter. 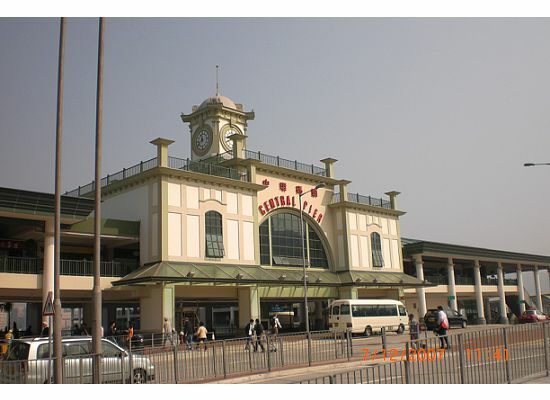 But the ferry comes more frequently than from the Wanchai station. The boat ride from Central to TST lasts about 10-15 minutes. The one from Wanchai last about 20 minutes. Always make sure to get the seat on the uppder deck for a better view. It would be better if you sit on the side. The fare for a trip is very affordable. It is HKD2.40 (less than USD0.5) in the upper deck. Also, due to the busy sea traffic and the short distance between the islands nowadays, you may experience the sea "traffic congestion". What I mean is that the ferry may slow down or even stop in the middle of the Victoria Harbour to let the other boats and/or big ships to pass by. The chairs on the Star Ferry are very different. You can change the directions that they are facing. People usually change them to face forward the ferry is heading. On the rainy days, plastic curtains will roll down. They are transparent. But they could somewhat block your sight. The pathway of the deck moves/inclines according to the tide. There was a huge transformation of Hong Kong transportation during the history of Hong Kong Star Ferry. When my mom just graduated and needed to go to work in the Kowloon Peninsula, there was no harbour tunnel at all. People really relied on the boats to travel between the islands. I remember she said that if she headed back home after the working hours of the Hong Kong Star Ferry, she needed to get on the small boats, like sanpan to go home. 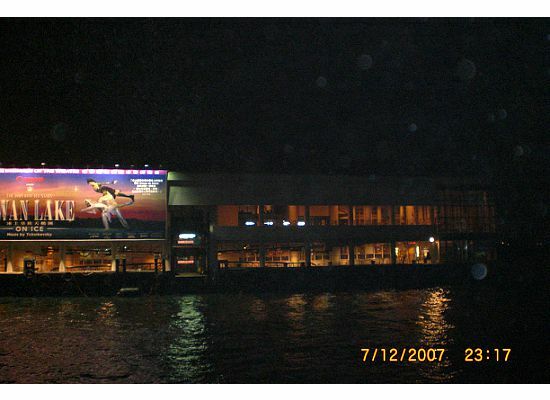 The Hong Kong Star Ferry Tsim Sha Tsui Pier. 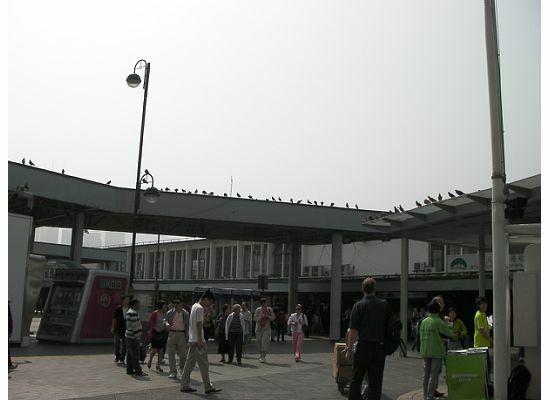 It is also known as the "5 Poles" by the Hong Kong people. Over here, there is a visitor center of Hong Kong Tourism Board. Anything regarding your Hong Kong tour or vacation, feel free to step in and ask for help. Their staffs are always very nice and helpful. With the development of the MTR and expansion of the routes covered by buses, Hong Kong Star Ferry may not be as popular as before to the Hong Kong people . It did create some good life stories. Like the package food, "Wanchai Ferry", founder, she sold Chinese dumplings by the Wanchai Star Ferry station where her business prospers. We used to able to take the rick shaw ride in the old Central Star Ferry station. People used to love fishing by the ferry station. When I was a kid, my dad and several of his brothers did that all the time. No matter what, Hong Kong Star Ferry witnessed all these good memories and experiences of the long development of Hong Kong history. 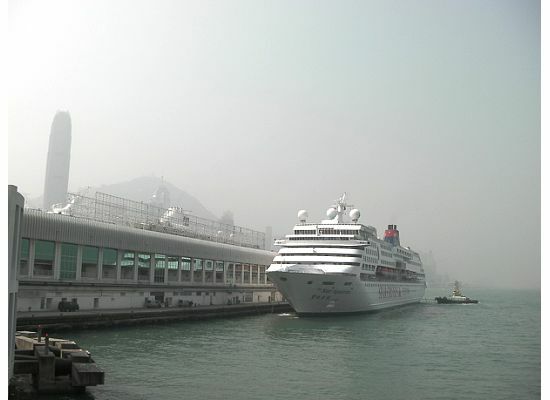 Between the Tsim Sha Tsui pier and the Ocean Terminal, there is always a cruise. It is HUGE. That's why it always says that the Hong Kong Victoria Harbour is the great natural resources of this city. It is so deep to allow this cruise to sail. ALERT! From the Tsim Sha Tsui Star Ferry Pier along the harbor front all the way to the Avenue of Stars, there is a small group of Indian wandering around. 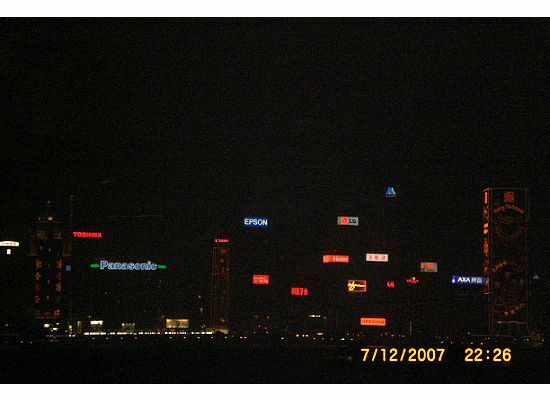 Although you can see them throughout Tsim Sha Tsui, the harbor front is the area where they concentrate on. They like to approach tourists and claim that they have fortune telling skill. It happened to Perry, my hubby, a few times. That guy asked for Perry's palm and started to "tell" his future. Then, he asked for the money. Perry gave the money to that guy and told Perry that he would be back. Of course, he never came back. Perry was no fool when the second and third guy approached him at the other 2 different times. I don't like to be negative. But I also don't want you to have these bad people around you and ruin your vacation either. For more details, check out Hong Kong Alert. For more information on the Star Ferry, check out their website here.